My brother and sister-in-law were in town over the week of July 4th. They were staying in their RV at the nearby Bull Run Regional Park, and we tried to spend as much time with them as possible. I read recently about a local dairy farm that is also on the Maryland Ice Cream Trail, and I thought it would be fun outing for all of us to visit. 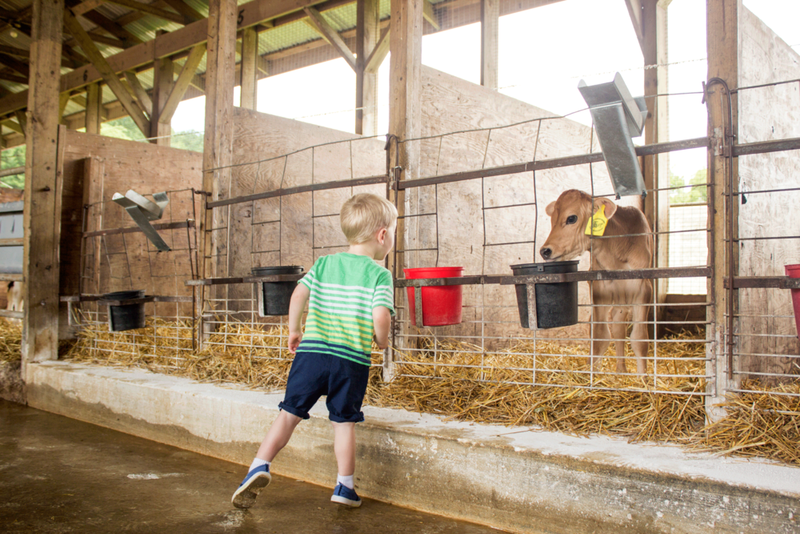 At the farm you can visit with baby cows, pet them, and even feed them; you can also watch the milking of the grown cows. (Worth mentioning is that South Mountain Creamery is committed to being a self-sustaining farm, which means that they use their own resources to power the farms. Read more about their sustainability efforts.) Add in ice cream, and South Mountain Creamery turned out to be a perfect field trip for all ages in the family.